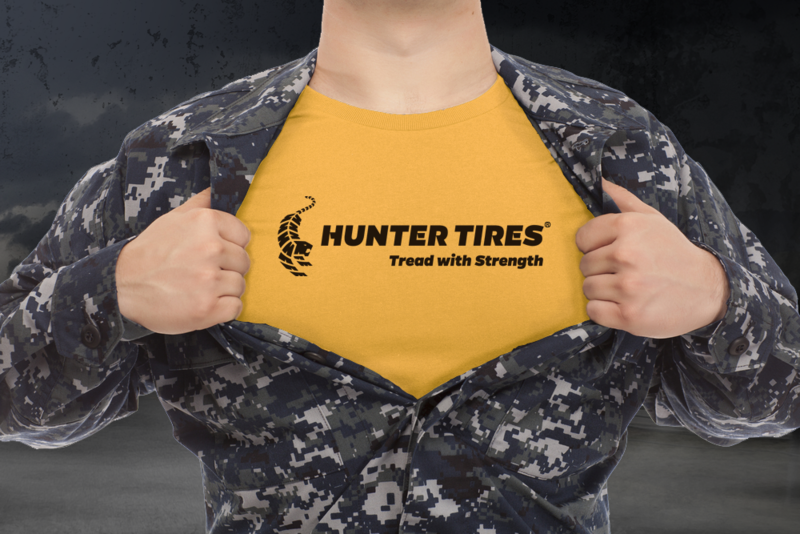 At Hunter Tires, we’re proud to be a veteran-owned business. It’s part of our identity, and it forms part of our dedication to high quality commercial vehicle tires and excellent service. We hope that you’ll also be proud to work with a business that has service to America at its core. To qualify as a veteran-owned business, a business must be owned and controlled by one or more veterans, active duty military, reservists, or military spouses. To us, it means a lot more than that. It means applying the same values we learned while serving in the military to the way we do business. Being a veteran means knowing how to work hard and to follow through on our goals. More importantly, it means having a sense of honor. We value that honor in everything we do, from our relationships with customers and business partners, to the quality of our products. Our tires are built for endurance and reliability, and we take pride in that. We are committed to consistently creating the highest-quality tires possible; it’s part of our duty as a veteran-owned business. We also care about our business relationships. We take the time to develop genuine connections because we know how important trust is. The label of service-disabled veteran-owned small business (SDVOSB) is a special distinction given to small businesses that are at least 51% owned by an individual who has suffered a disability while in military service. The U.S. government sets aside some contract benefits for service-disabled veteran-owned small businesses. This certification has helped us to grow as a small business. We believe that our customers choose to work with us because of the high quality of our commercial tires and because of our dedication to professional relationships. We design our tires to provide the best in reliability and durability and to create a better driving experience and increased performance. That’s our primary focus, and we know it’s what our customers care about too. We also hope that you can take pride in purchasing from a veteran-owned business. We work with other veterans and veterans’ family members, and we know it means a lot to them to support people who have gone through similar experiences. We know that non-veterans are also proud to support those of us who have served, and we appreciate that greatly. For us, our purpose in owning a business is largely the same as our purpose when we served in the military. We want to keep people safe, and we want to serve American communities. We’re proud that as a veteran-owned business, we get to keep doing that, and we’re passionate about doing it together with our customers and partners. See the difference it makes when buying your commercial vehicle tires from veteran owned Hunter Tires.